Samyuktha Menon got into films by accident. The actress, who hails from Palakkad, says she never expected to be a part of the movie industry. "I was preparing for my engineering and medical entrance exams, and quite unexpectedly, a photographer stumbled upon my pictures on Facebook and thought I would make a good cover model. I never wanted to be a model or an actress. But now that I've started acting, I'm really enjoying it. A few friends from the industry introduced me to some great films, and since then I've been watching a lot of films." When asked if she has ever thought of going back to college, she says: "No, I don't think I want to go back now. I can't stand the boundaries of these institutions. And I can't imagine being stuck in an office from 9 to 5. I love cinema and I like having uncertainties in my life. The thought of spending all day at the same place with the same work pattern doesn't excite me at all." 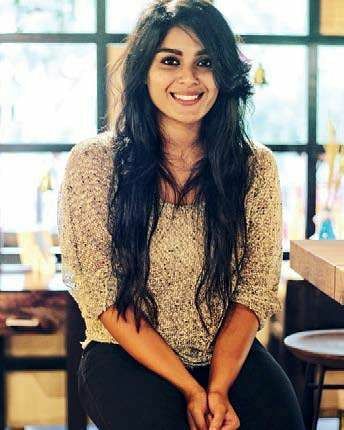 Speaking about her new film with Tovino Thomas, she says, "Theevandi is a feel-good film. People will enjoy it. It's a political satire. Tovino plays an ordinary character who has no job, and he smokes a lot. My character Devi is a government employee who became a village officer after passing her PSC exam." Despite the presence of this difference between the two characters, she says the film doesn't discuss all these 'status' issues. "Devi likes him a lot despite his unemployed status. In fact, she loves him unconditionally. She knows him really well." On her co-star, she says: "Despite being such an extremely busy actor, Tovino is so down-to-earth and chilled out." Samyuktha also adds that she is very amused by the online theories about Theevandi. "They are fun to read. I saw someone recently write that my character dies in the film. And then there was another theory that Suraj Venjaramoodu, who plays my father, murders somebody", she laughs. Being also fluent in Tamil, Samyuktha mentioned a Tamil film she did a while back called Kalari with V Jayaprakash and MS Bhasker. The film is yet to get a release date. She will be also seen in another Malayalam film Lilli in which she plays a pregnant woman trying to escape from her abductors. She calls it an incredibly challenging and physically demanding role.